Ermis is a delicate luminaire with QR111 lamp. exhibition halls, museums, cafe, restaurants etc. 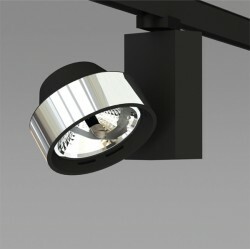 It can be mounted on track or on ceiling. 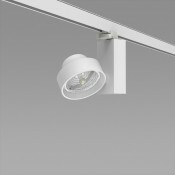 - Version for QR111/G53 and LED R111/G53.- Aluminium body.- With Universal adapter for mounting on 3..